Laser Interceptor is an active Laser Jammer, which means it sends out beams blocking police lasers, as opposed to radar detectors that will only warn you your speed has been measured. 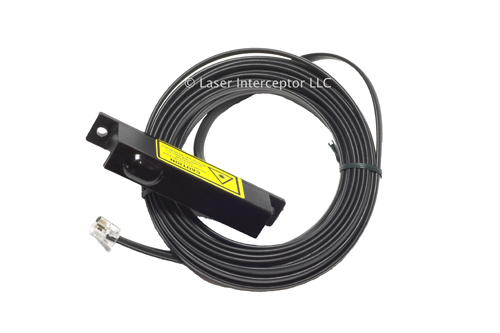 Laser Interceptor is a LIDAR triggered Laser Jammer that transmits a Jamming Beam only upon detection of a LIDAR signal and does so for the duration of that signal and then immediately disengages when that signal is no longer detected. Laser Interceptor will then immediately reengage again upon the detection of another LIDAR Signal(s). 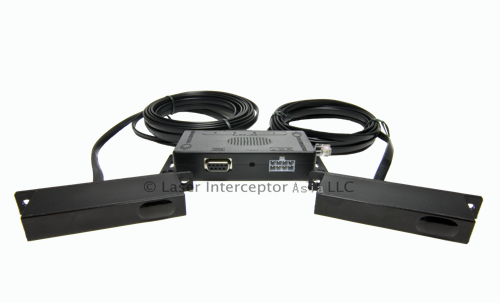 The Laser Interceptor Laser Jammer consists of two units. Each unit consists of a receiver and a transmitter. Both are installed on the front of the vehicle. 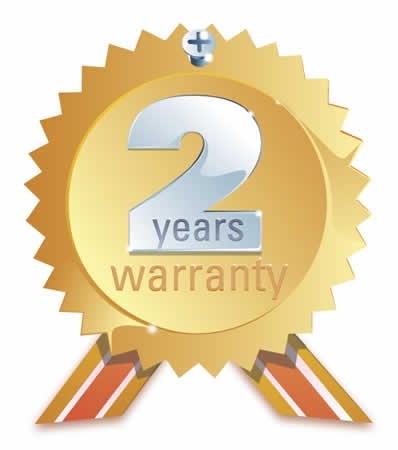 Additional sensors can be purchased to protect the rear of the vehicle as well. Every time the device is turned on, it performs a self test after which welcome sound is played. The transceiver unit has two built-in sensors that are sensitive to laser beams. When the sensor receives a laser beam, it forwards the impulse to a high speed microprocessor, which then analyzes it and sends corresponding impulses to transmitter LASER. Radiation emitted by LASER diodes cannot harm your eyesight, it is class 1M by EC60825-1. Both units are synchronized, which increases the jamming effect. When a lidar device receives the impulses from a vehicle with a built-in Laser Interceptor, it will not be able to measure the speed, because it will get the wrong information about the current distance from the vehicle and therefore will not show the speed. Every time an attempt is made to measure your speed, the device will warn you with an audio warning sound and a Voice Alert as to the type of LIDAR being used. Also, the device will warn you when the sensor is blinded by the sun, since the sun is a strong source of all wave lengths, including the one lasers work on. This can happen when you are driving toward the sun or when the sun is close to the horizon. The device has a built-in thermo regulation so as to work optimally in extreme temperature conditions. The housing is made from black plasticized aluminum, with an optical lens on the front, and is resistant to mechanical damage. The weatherproof Aluminum Enclosures holds a delicate circuitry for infrared laser light detection, and a high power, infrared Laser Diode. The incoming infrared light is focused by Optical Culmunator on the the detection diodes, and then amplified and processed. The Laser Diode emits similar pulses to those transmitted by LIDAR. As our design uses a real Laser Diode, exactly the same device used by police LIDAR Guns, instead of the cheap, infrared LEDs found in TV remote controls, it is much more powerful, effective and reliable. Software Version 8.02, Rev. 2.9 (03/2010) Now with FREE User Downloadable Firmware Upgrades.